Chasing Friday is one of Maryland's top variety dance party bands made up of 6 highly dynamic musicians and singers. We play all the great music you love to dance and party to from the 60's to Today! Specializing in incredible vocal performances and unbelievable harmonies, you won't believe your ears. Is it LIVE, is it an iPod? ABSOLUTELY NOT!! No iPod here, no computers, just endless live talent that will leave you wanting more. Come check us out and hear what you've been missing. Tony started singing as soon as he could speak words. Growing up surrounded by an extremely musically talented family, Tony had all the teachers he needed to learn everything he desired to do in music from a very young age. His father was a keyboardist in numerous local bands and a number of his uncles played in the local scene as well, with one actually writing for Nashville. Having been in every chorus available in school, A Capella Choir, Barbershop Quartets, All-County and All-State Chorus, Tony considers singing his #1 ability, and he also learned 7 different instruments along the way. There really isn’t a genre of music that Tony doesn’t like for the most part. He has performed all over the MD/VA/DE/PA/DC area. 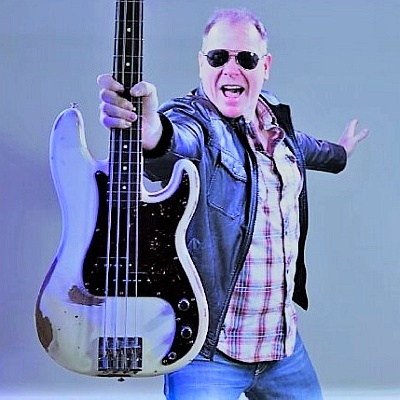 He has played in numerous bands starting in 1986 with Surrender. Other local bands he has been a member of are Catalyst, Jamtraxx, Long Story Short, and Alton Street. His longest run with a group is the 22 years he played in Krystal Klear. Krystal Klear was one of the best Party/Dance/Rock bands in the area, performing all types of music such as pop, rock, country, soul, and rap from the 60’s to today until they disbanded in 2011. 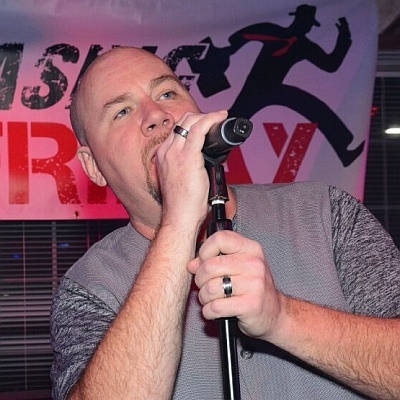 Tony joined Chasing Friday when approached because he saw the talent in the group and was excited at the fact that there would be 6-part harmony capabilities in the band as everyone has lead vocal and harmony abilities. That’s hard to come by in local scenes but if done correctly is like adding another instrument on stage. Tony also has his own recording studio, Sako Sound Studios, where he writes, produces, engineers, records, and performs. Trish’s singing career began at an early age, corresponding with the first time she saw “The Partridge Family”. Unable to convince her siblings to learn to play instruments and her parents to purchase a Mondrian-inspired-technicolor school bus, she remained undaunted; soon, she discovered that the fireplace hearth made for a perfect stage where, along with her hairbrush microphone, she began to hone her craft. From there, her musical tastes grew from “The Partridge Family”, to include bands such as Heart, Led Zeppelin, and Pat Benetar, and she took her performances out of the family room, through a wide variety of performance venues (including leading roles in community musical theater), and into the Baltimore music scene. Trish is known for her ability to perform a huge variety of styles, from hard rock, to country, dance, pop, and more, and for her high energy and always entertaining performances. Trish is an extremely fun and down-to-earth girl who enjoys meeting and talking with people who come out to see and hear Chasing Friday. Stu Bollinger began playing Piano when he was 6 years old. He also learned to play the guitar and bass throughout his early years. Stu was in a successful group 41-East throughout most of the eighties where he played in the top clubs and major events of that time. Stu took a hiatus from the music scene to pursue his interest in aviation and run his family business. His interest for music never left however and he has returned to his earlier passion playing Keyboards, Guitars and lead/backup vocals for Chasing Friday. Gary began beating on pots, pans & pillows at the ripe age of 13 until he got his first drum kit at 15. Before that, he was listening to many styles of music & loved them all but his true calling was progressive rock. During his high school years he was very involved in music vocally being in choirs, barbershop,etc..After many basement bands, he landed a gig with local Baltimore band, Crystal Lynx, specializing in Prog Rock covers. In '89 after a couple of years, he would join Sojourn, another prog rock band doing covers but also originals. This band would eventually morph into all-original band, Iluvatar. Gary would record 2 CDs & enjoy minor international success before leaving the band in '96 & would take a major sabbatical until 2010. He would start by joining with members from old bands, Sojourn & Iluvatar, to form Prophet Code.....an all-originals prog band. Yearning to play covers, Gary also formed Pop Generation playing rock/variety. After 2 years, the band called it quits. 2015 would see Gary form Mergatroyd, a classic metal/rock quartet. At the same time, he would connect with members of Chasing Friday & the rest is history. 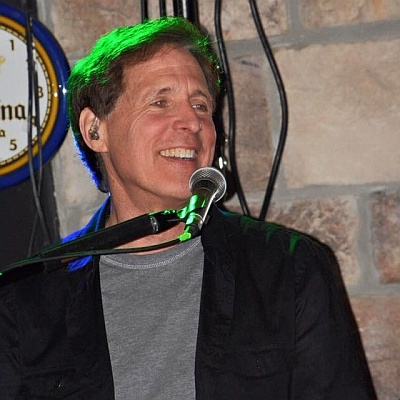 Aside from playing drums, Gary has been playing keyboards since 1981 & continues doing occasional fill ins for local bands. To quote the great Ray Charles, "Music to me is like breathing - I don't get tired of breathing, I don't get tired of music." Steve’s love for live music started when he heard a live band for the first time at a shopping center when he was a kid. The live sound of hardwood striking drum heads, the enveloping warmth of a fat P bass tone, the guitars cutting like razors through the humid summer air and that unforgettable kick drum pounding deep into his soul, the deal was done, his fate was set. From that day forward it was basement jam bands and then playing out live. 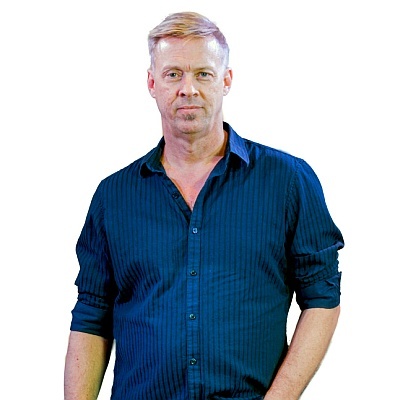 Everything from Jazz to Metal to Country to Top 40 Pop, you name it, he’s played it, but Steve’s favorite music is the songs that get the dance floor happening! Steve plays a Fender Strat and Tele through Vox amps currently. Kevin started playing the bass quite unintentionally one evening while watching a friend’s band jam in his basement. As the story goes, the Bass player of the band failed to show up that night, so the guitarist asked Kevin if he could play 4 notes on one string. That song? Smoke on the Water, and the rest is history. Kevin’s passion for playing Bass guitar was instantly ignited and 3 years later, Kevin was playing the top clubs in the Baltimore - Washington area. An adrenaline junkie and not one to sit still, Kevin decided to put down the Bass and enlisted in the Army to, as he tells it, "to see the world, jump out of airplanes and seek adventure". After a short 15 year break from music, Kevin began playing again and hasn't looked back. 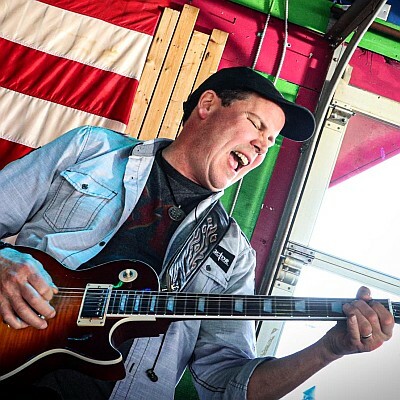 Since then, Kevin has played in several bands including Anthem, None the Wiser, Chick Flick, WherezDave, Red Dirt Revolution, and Chasing Friday. Kevin plays 5 String Fender Precision and Ken Smith Basses exclusively through USA made Ampeg and Trickfish Amplifiers. Let the Good Times Roll!